Core Bamboo Products for Less than $1 SHIPPED at One Kings Lane!!! 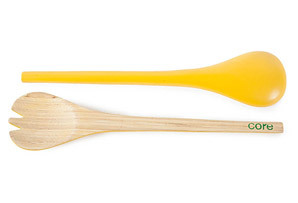 One Kings Lane has an assortment off bamboo kitchen goodies that will be less than $1 SHIPPED today! There are coaster sets, salad servers, paper towel holders and more! First time buyers get a $15 credit to use on whatever you want . . . so apply that to the total (which also applies toward shipping costs!!!) and you'll get one awesome deal! Go here to sign up and then have a look! This would make a good hostess gift, teacher gift, mother-in-law gift . . . or a gift for yourself! ;-) Hurry though! Things are going fast!!! COUPON: Bar Coupons: Luna Bar, Clif C, thinkThin $ .50 off!!! Thanks to Mambo Sprouts, here are a bunch of coupons for some awesome bars! Here is a coupon for $. 50 off Luna Bar! This is a great coupon . . . especially if your store doubles! You could possibly end up getting it for free!!! I love to have bars on hand!!! Heatlhy & quick for on-the-go! CVS: Look at the MONEYMAKIN' deals I got (and you can too!)!!! 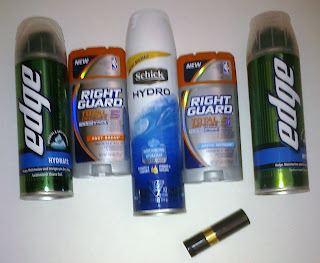 This is what I got at CVS today! 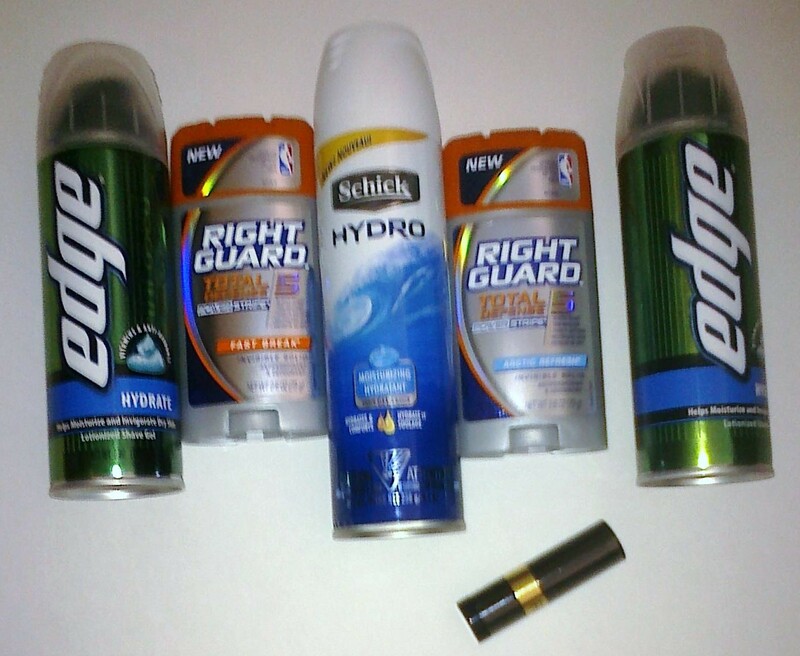 I got paid .34 to take this all away for CVS! *and I used one .99 ECB I had from buying Stride gum a week or two ago! Ok, so we are working on remodeling our kitchen . . . as we ripped out a cabinet today, guess what I found?!? A vintage coupon . . . circa 1980 maybe? I'm not sure when it's from, but it got me thinking about coupons and how far they've come over the years. This Kraft Chicken Applause (what the heck is that!?!?) coupon is for .25 off, has NO EXPIRATION DATE, and has NO BARCODE (only some numbers on it). A friend told me I should frame it. LOL. It's comforting to know that a coupon lover used to live in my house. Do you know what Chicken Applause is? It sounds funny! 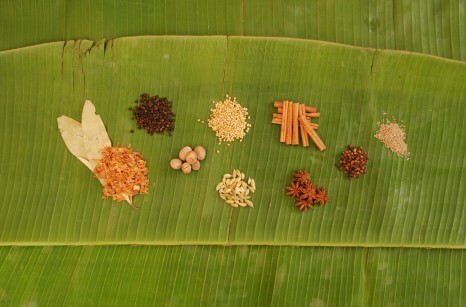 Today at Plum District: 50% off Organic Indian Spices from Modern Day Masala!!! Plum District is a deal-a-day site that always has something fresh & exciting! Today only you can grab a bunch of Organic Indian Spices from Modern Day Masala at Plum District for 50% off! Go here to check out all the goodies you can get at Modern DayMasala ($30 worth of spices for only $15!)! I love Indian food, and I'm working at perfecting it in my own kitchen! Check out a recipe for Chicken Makhani (Indian Butter Chicken) from All Recipes that I made recently. It was so yummy! INSTANT WIN GAME: Kettle Chips Tailgate Au Naturale Instant Win Sweepstakes & Coupon!!! Here's an awesome new instant win & sweepstakes for ya! 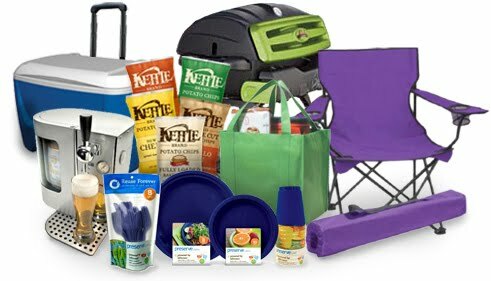 Go on over here to create the perfect "green" tailgating party & see if you instantly win an awesome prize from Kettle Chips!!! 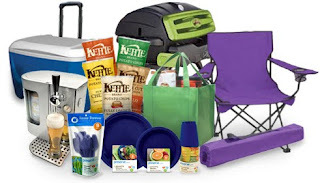 You could win the Tailgate Au Naturale Green Gear Grand Prize package including a custom tailgating tent, propane tailgate BBQ grill, portable mini keg dispenser, solar powered radio, Preserve® eco-friendly utensils and party wares, loads of Kettle Brand® Potato Chips, and much more! How cool would that be?!?! Even if you don't win, you get to print a COUPON after you play the game!!! COUPON: $.75 off Earthbound Farm Organic Product! 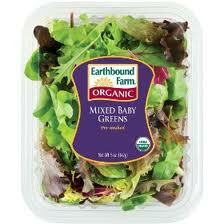 We love this salad (and baby spinach) in this household! Head on over here . . . play a little game . . . sign up for a chance to win a cookbook & then you'll get to print a .75 off coupon!!! That's easy enough! 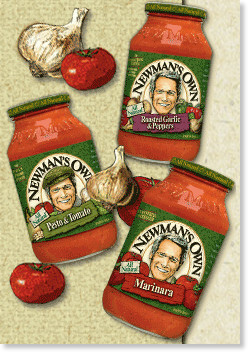 Go here to print a $1.00 off Newman's Own coupon! 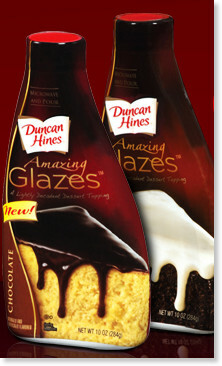 Coupon: $1.00 off Duncan Hines Amazing Glazes!!! This stuff looks, well . . . AMAZING!!! Head on over here and click on "Try it now. Save $1.00" to access your coupon (make sure your printer is up & running because when you click the link it'll print right away!). Have you tried this yet? Is it as amazing as it looks?!?! Looks like they have some killer desserts as well as the new glazes! Freebie: 32 FREE Icky Bands!!! Get up to 32 FREE Icky Bands from The Art of Washing Hands by filling out a short form here! These would make awesome little treats to give out for kids on Halloween! Freebie: Go Smile Teeth Whitening Sample Pack! Go here to get your FREE Go Smile Teeth Whitening Sample Pack! Then show off your pearly whites! Diapers and wipes go together like . . . well, peanut butter & jelly? . . . . you can't have one without the other! This week at Target there's an awesome deal on wipes! That makes it only .65 each tub!!!!! That's definitely a stock up price!!! Rite Aid is where you want to be this week if you need diapers!!!! and a Sunday paper (because mine wasn't delivered yet again! :-/) for a total of $16.94 (including tax) and I'm getting back $10 rebate for KC products (includes Huggies!) and I also got $6 total +UP rewards back ($2 for EACH pack of Huggies!!!) . . . so that's FREE DIAPERS!!!! Total will be $11.97, but then . . . submit your receipt and get back $10 AND you will also get a total of $6 +UP rewards back ($2 for each pack!) . . . not only is that 3 FREE PACKS of Huggies Pure & Nautral diapers, but hat is a $4 MONEYMAKER!!!! Freebie: Mariani Cinnamon Raisin Bread Raisins! Head on over here to get a free sample of Mariani Flavor Sensations Cinnamon Raisin Bread Raisins! These sound delicious! Freebie: Cinnabon Cream of Wheat Sample! Yum! 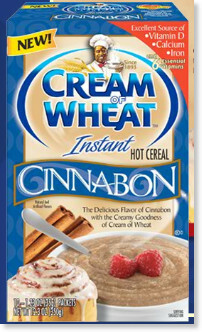 Go here to get a free sample of Cinnabon Cream of Wheat!!! Sounds yummy!!! You can also print a really high value ($2 off!) coupon while you're there! Hang on to it 'til there is a great sale!